You are at:Home»Entertainment»Aubrey and Three Migos Tour! Aubrey and Three Migos Tour! Oh snap, wait a minute. Let me have a moment to live it up. 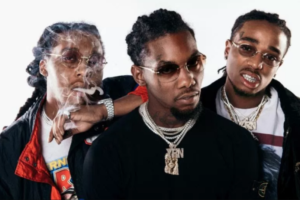 So, today I found out that Drake and the Migos are going on tour together. Anyone who knows me, knows that I’m both a Drizzy and Migos fan. I’m actually having a nostalgic moment just thinking about this. Come September, the Capital One Arena in Washington, DC, is going to be LIT! I’m here for it! I can’t wait to see them hit the stage together and I know most of y’all are looking forward to their new material, but I’m actually looking forward to their older material. 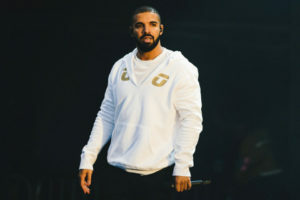 Drake’s “Find Your Love” and “One Dance” are a must on this tour, and Migos “Freak No More,” “Bad and Boujee” and “Motorsport” are top favorites that I know will be a part of their set. But more than anything, I’m just excited to see the performances, wardrobes, dances, I’m excited to see everything! Drake is a beast and is arguably one of the greatest entertainers of our time. And the Migos are surely following in his footsteps. I’m gonna be out there with the crowd rocking out to some of my favorite songs, and I’m gonna party like I just graduated college yesterday. I ain’t holding back, and I’m going to put it out there now, this is probably going to be the best tour of 2018. Get ready, guys, because it’s going to be EPIC! Check back with me in September to read my full review of the tour. Tickets are on sale now at ticketmaster.com, so grab yours today.